Browsing the San Diego Museum of Art, one of 17 museums in Balboa Park. 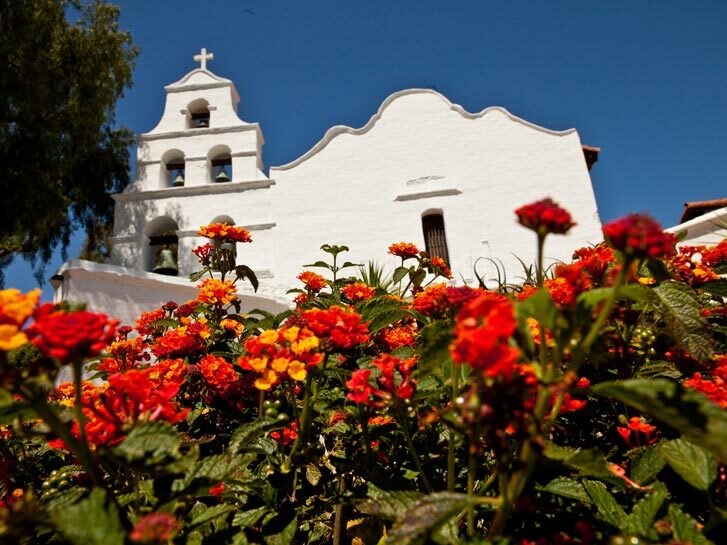 Mission Basilica San Diego de Alcalá, the first Franciscan mission in The Californias, a province of New Spain. The site of the first European settlement on the west coast, during 2019, Old Town San Diego commemorates the 250th anniversary of the founding of “Alta California.” Stay tuned here for a calendar of events, especially the September 14-15 Founders’ Day Festival. Beaches, boardwalks, history and culture are on the menu for a long weekend in San Diego, the iconic Southern California beach town. Your flight touches down within minutes of sandy shores and palmy vacation resorts, historic sites and amusement parks. A great way to kick-off your culture and history weekend, just west of the airport, Sunset Cliffs Natural Park affords dazzling sunset views from a high bluff above the Pacific, and a relaxing stroll along the seafront footpath (watch for the famous green flash just as the sun hits the horizon). Far below, surfers glide and waves crash into rugged sea caves, and California gray whales are often spotted on their annual migrations along the coast. From here, take Sunset Cliffs Boulevard right into the sprawling resort and watersport mecca of Mission Bay. 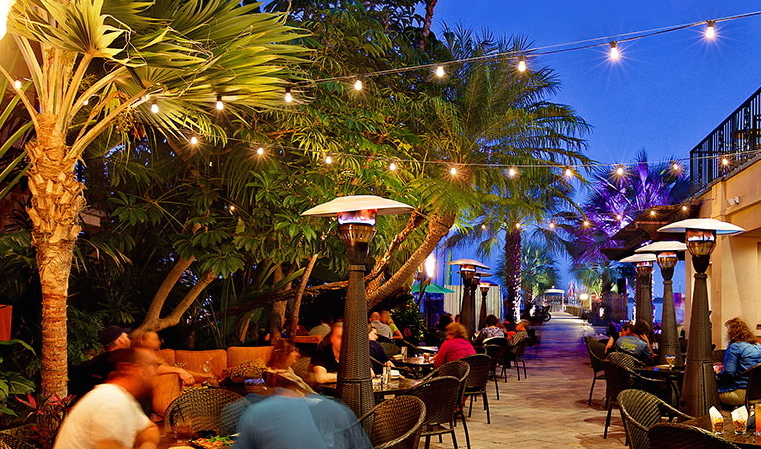 Set the scene for a romantic weekend with an umbrella-topped libation beneath the tiki torches at Moray’s bayfront bar. Moray’s and the adjacent Oceana Coastal Kitchen are within the Catamaran Resort Hotel, one of several Mission Bay vacation resorts, from Paradise Point Resort to the Hilton San Diego, the Bahia Resort Hotel, and more. Families love Mission Bay as it’s the home of the Belmont Park amusement ride mecca, miles of beaches lapped by calm waters, and SeaWorld San Diego, the world-famous oceanarium, aquarium and marine mammal park with sea-theme rides and live animal shows. Opening this year at SeaWorld is the new Ocean Explorer, an undersea, marine science-based experience accessed by mini-submarine. You can park your car for the whole weekend at Mission Bay and rent paddle boards, jet skies, boogie boards, surfboards and small sailboats, or cruise on a rental “beach bike” to Pacific Beach, where the three-mile-long oceanfront boardwalk is lined with surf shops, beach bars, seafood cafes, and night spots. Right on the beach at Mission Bay, a classic, circa-1925 wooden roller coaster, the Giant Dipper, is a main attraction at Belmont Park, where families spend whole days riding the Beach Blaster, the Octotron and the zipline, rock climbing; playing laser tag and mini golf, and testing their surfing skills (or just watching the pros) at the FlowRider®. 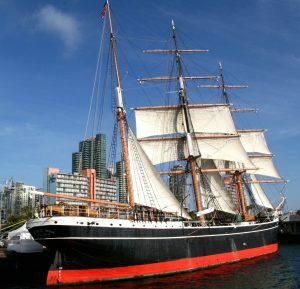 Anchoring San Diego’s downtown, Waterfront Park overlooks a flotilla of vessels, notably the spectacular “San Salvador,” a replica of the Spanish explorer Juan Rodriguez Cabrillo’s flagship, the “Mayflower of the West.” Also berthed here at the Maritime Museum of San Diego are historic ships that include the three-masted windjammer “Star of India,” launched in 1863, said to be the oldest active sailing vessel in the world. At the museum, you can tour a submarine, a Vietnam-era Swift boat, a Berkeley ferry and a steam yacht and other ships, and take a harbor tour. Just down Harbor Drive is the massive USS Midway aircraft carrier, now a museum open to tours. 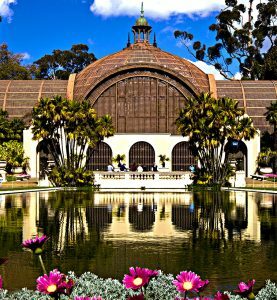 Worth an entire weekend of exploration, Balboa Park is one of the largest botanical and historical parks in the country, a cultural treasure chest, with seventeen museums, the San Diego Zoo, and thousands of acres of lush landscaping and gardens. Built for the Panama-California 1915-16 and 1935-36 expositions, the heart of the park is the complex of flamboyant Spanish-Colonial Revival-style and Latin-influenced buildings along El Prado. You can take a self-guided audio tour or a ranger-led tour of the park; hop on and off the tram, or wander around on your own––most sights are free. A world-class (and free) treasure trove in a mid-century modern building, the Timken Museum of Art exhibits European old masters, 19th century American art, and Russian icons, everything from Rembrandt, Rubens, and Fragonard to Bierstadt, Bruegel and much more. Restored antique aircraft, military aircraft, the Apollo module and more spacecraft at the San Diego Air & Space Museum in Balboa Park. Within the leafy world of Balboa Park is the San Diego Air & Space Museum, where the history of flight begins beneath a model of the Montgolfier brothers’ hot air balloon of 1783 and winds on to the first manned vehicle to lift humans above the Earth. Rare, original aircraft from a Spitfire to a Navy F6F Hellcat, an A-4 Skyhawk jet, and classic military aircraft of World War II, Korea and Vietnam–exhibits of 21st century technology and more. 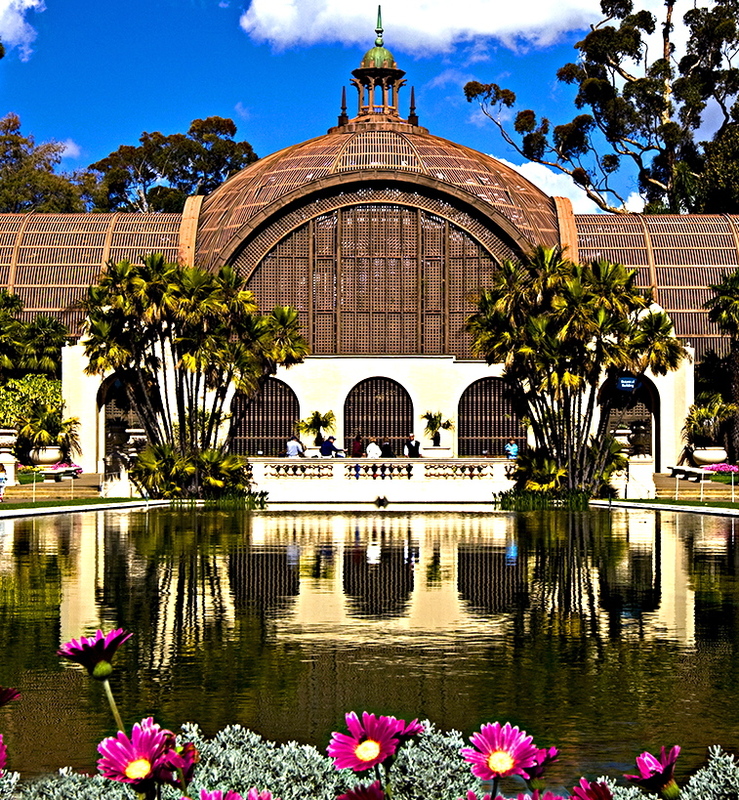 Among more attractions in Balboa Park are the 100-year-old, massive greenhouse “Botanical Building,” and the century-old San Diego Zoo, where thousands of animals in natural environments are on view from tour buses and a mini train, the Skyfari aerial tram, and on foot. This summer will see the opening of expansive, wide-open habitats called Africa Rocks, where West African forest, woodlands, highlands and gardens will be new homes for lemurs, penguins, ibex, crocodiles, leopards, monkeys, meerkats, and many more creatures that will thrill visitors walking the ADA-accessible viewing pathways. A new cultural attraction, in the historic, bayside Latino district of Barrio Logan, beneath the San Diego-Coronado Bridge is Chicano Park, where more than eighty vibrant outdoor murals, sculptures, and art installations recall pre-Columbian eras, and Mexican and Chicano icons such as Cesar Chavez, Che Guevara and Emiliano Zapata. Famous for authentic Mexican street food in the barrio, the winner of “Best Tacos in San Diego,” is the Salud! cafe in the charming 1910 Bank of Italy building. The heyday of the late Victorian era and the raucous years of the “red light” district remain only in the colorful architecture of sixteen-block-square, downtown Gaslamp District, which is today a lively line-up of nightclubs, bars, restaurants, live music venues and galleries. A vintage orange and green streetcar circles the district on the “Silver Line, ” stopping all along the way. 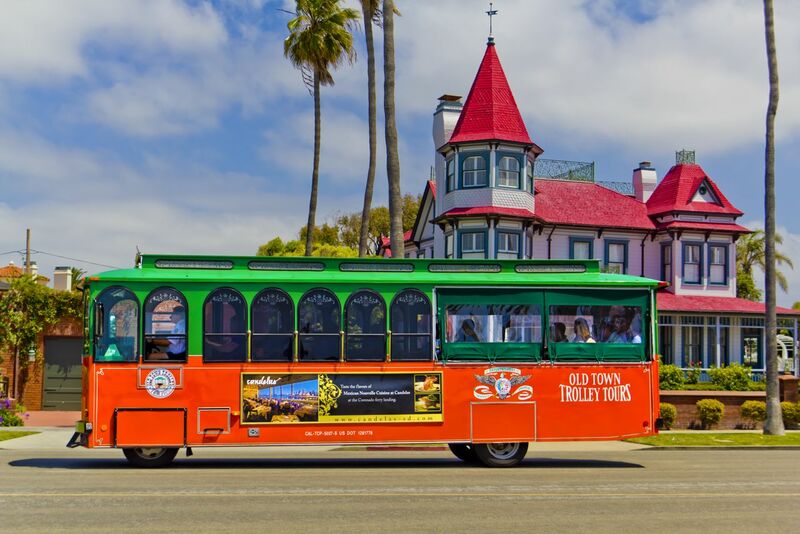 Old Town San Diego State Historic Park heralds the city’s Hispanic heritage from 1821 to 1872 with block after block of Mexican folk art, eateries and historical sites, shops, museums and carefully restored adobe and wooden buildings. “Living History” reenactments occur often and park rangers lead tours to the schoolhouse, the graveyard, to an officially designated haunted house, and to 1825-built Casa de Estudillo, one of the finest adobe haciendas in the state. There he is — the man himself, in 1542! 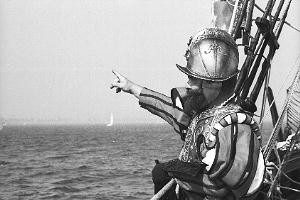 The Spanish explorer Juan Rodriguez Cabrillo was the first European to discover the mainland of what is today California. Create an unforgettable finale to your busy San Diego weekend by saving an hour or so for a stop at Cabrillo National Monument at Point Loma, at the tip of the narrow, breezy peninsula between the Pacific and San Diego Bay. In 1542, the Spanish explorer Cabrillo sailed into the bay at the foot of these cliffs, becoming the first European to discover the mainland of what is today California; he is honored every year in September with a gala Cabrillo Festival and a reenactment of his landing. Also here is Point Loma Lighthouse, a photogenic architectural landmark built in 1855. Along Highway 209 leading to the National Monument, beautiful Fort Rosecrans National Cemetery holds more than 100,000 graves, including many Medal of Honor recipients, all within sight and sound of jets based at Naval Base San Diego, the home port of the Pacific Fleet. where history and culture are rampant! What is your favorite cultural attraction in San Diego? Any recommendations on where to eat? stay? hear music? My children would love both SeaWorld and the San Diego Zoo.